The traditional board game that offers fun for the full family comes with new graphics and an exciting as well as surprising "Star fortune blocks" feature. 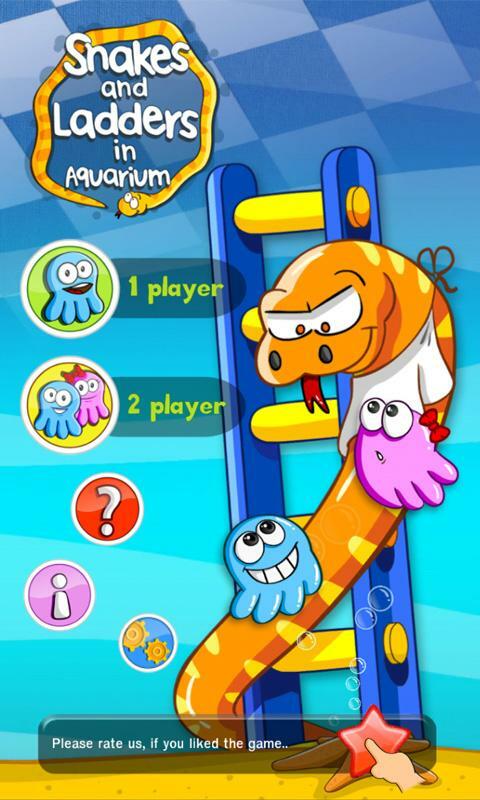 And to make the game even more entertaining, it is given a funny aquarium twist with colorful hand drawn graphics, cute characters and amazing underwater effects. Easy to learn and highly addictive: Players spin the dice and move their character for the number of steps indicated by the dice. If they land on the lower-numbered end of the block with a "ladder", they can move their way up to the higher-numbered block. If they land on the higher-numbered square of a pair with a "snake", they must move their character down to the lower-numbered square. 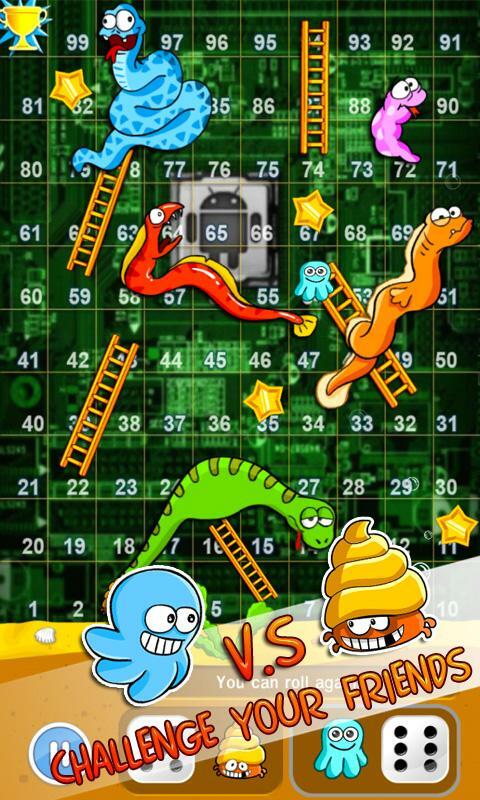 The first player who successfully arrives at the last block in an exact number of steps is the winner. 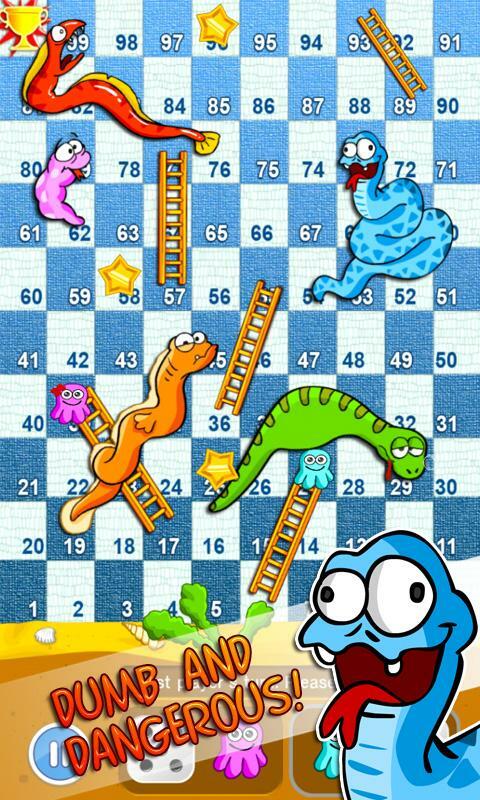 Snakes & Ladders in Aquarium is the perfect "game snack" for in between! Suitable for kids and the grown-ups offering addictive single player-modes as well as a multiplayer mode for 2 players.